During my numerous visits to Novotel Hotel in Hitech City, I had noticed the small café in the corridor towards the left of the reception area. However, I never got an opportunity to try out the goodies there. Recently the hotel invited me for a preview of the new menu at Le Café, and I had a first hand feel of the delicacies offered there. The place resembles a European side walk café with casual seating on both sides of it. 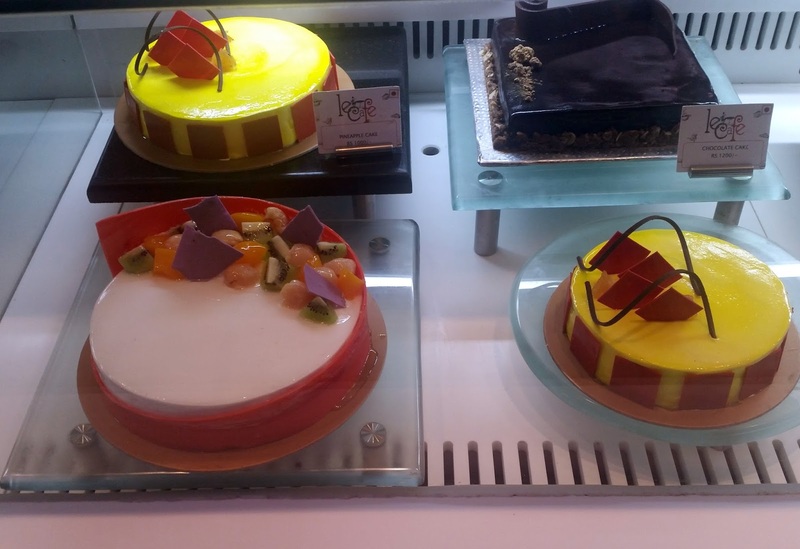 The café counter was displaying a large number of colorful cakes, pastries, macarons as well as puffs and fruit salads. 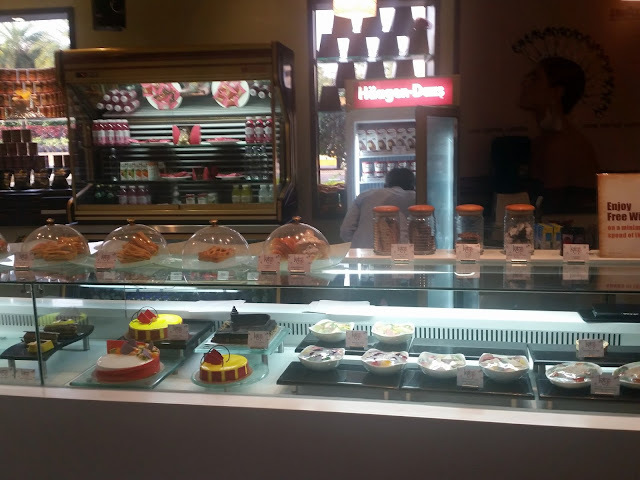 On the display behind, I could not help but notice my favourite Haagen Dazs ice creams. I was informed that the restaurant provides free Wifi to its customers on a minimum level of purchase. As we settled down into the casual but comfortable seating, Executive Chef Muthu Kumar explained the items in the new menu. For a small café, the range of menu is quite vast- it includes smoothies, pastries, salads, savouries as well as sandwiches to name a few. I started with small samplers of their signature smoothies – the smoothies have combinations of dual flavours. 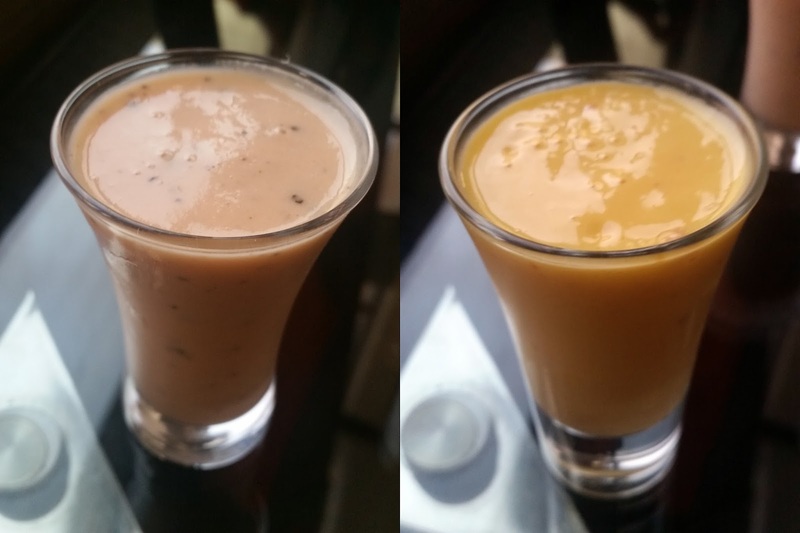 I loved the Litchi and Mango as well as Carrot, Apple and Cinnamon smoothies, where none of the tastes were overpowering the other. However the ground pepper pieces in the Pineapple and Pepper smoothie left a very strong aftertaste, which did not suit my palate. 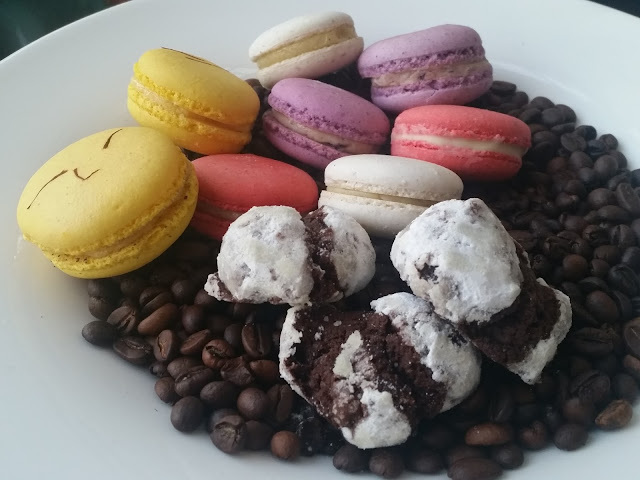 The macarons had variety – blueberry, kesar, cardamom with coconut and raspberry. 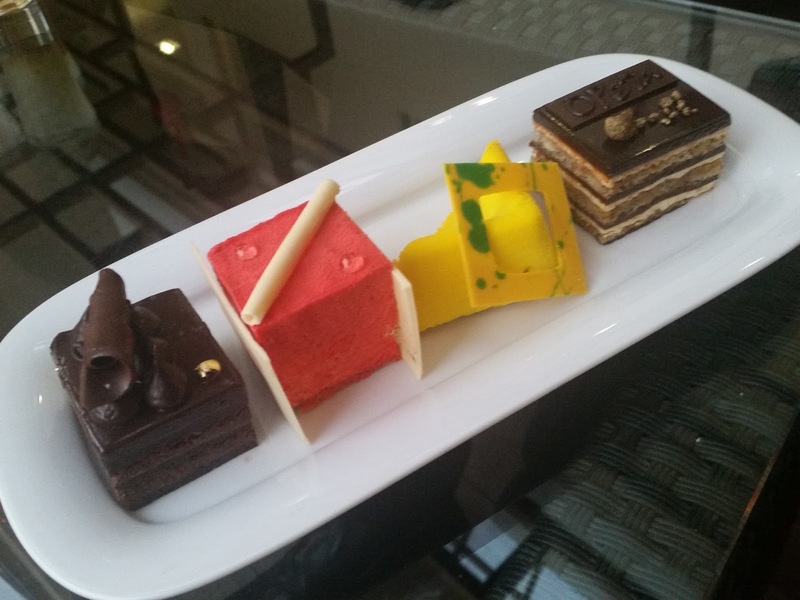 These are a must try here – especially the kesar and the cardamom ones. The platter in which the macaron was brought out also had some delightful chocolate fudge cookies. The new menu has thirteen types of new pastries. An assortment of pastries was brought out which had four different varieties. The first one was Opera, a French dessert. It had the name “Opera” written on top like a miniature version of birthday cakes, and the Chef told me that this is a tradition for the particular dish. Opera combines three different flavours in layers – chocolate, coffee buttercream and almond sponge. The traditional way to eat it is to cut across the layers, so that the entire taste can be enjoyed. The Opera was soft and creamy, with all the three tastes combining well. The Mango Mascapone did not find favour with me, as the mango flavor being very mild. White Chocolate with Raspberry had a smooth taste and was not too sweet, which was to my liking. There was a chocolate based creation specially for people who want to avoid gluten in their food – the dessert is free of wheat, flour or any other glutens. It is a very dense chocolate pastry which was extremely heavy. 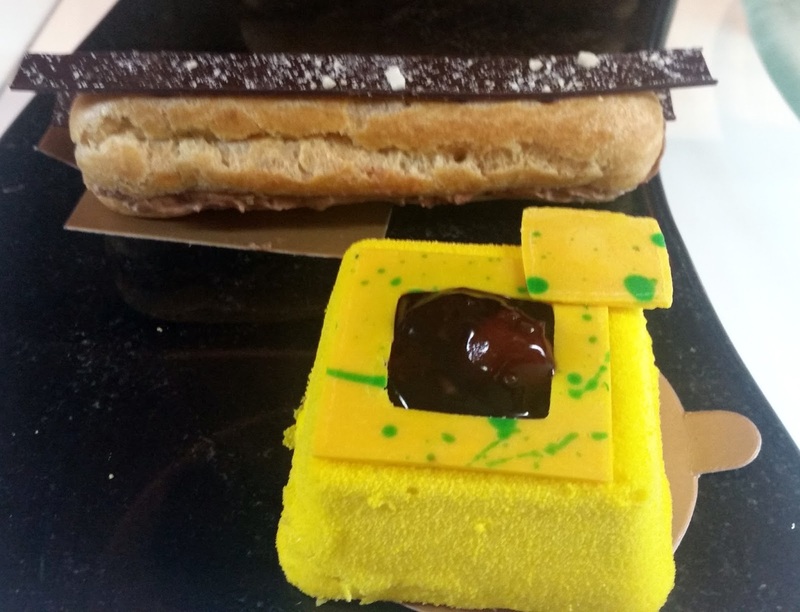 As I devoured the Hazelnut Eclair, Chef Saurav patiently explained the method of preparation. One thing which is noticeable in the short eats section of the menu is that there is lot of scope for customization. For example, in their sandwich selections, one can choose the type of bread and the type of filling. 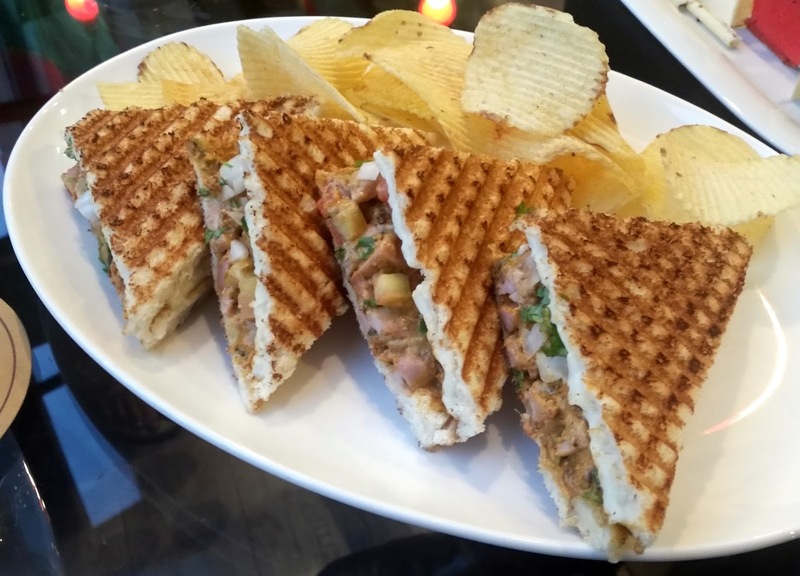 I tried two of their sandwich combinations – Whole Wheat with Masala Chicken Tikka and Multi Grain with Aloo Chaat. The sandwich with chicken tikka filling and cheese was delicious and filling, but I found the Aloo Chaat too spicy for my liking. For persons looking for slightly different taste, they have Cheese and Mustard as well as Chicken Salami, Mushroom and Onions as choices of filling. You can also choose panini as an option for bread. The savoury section too has lot of choices. 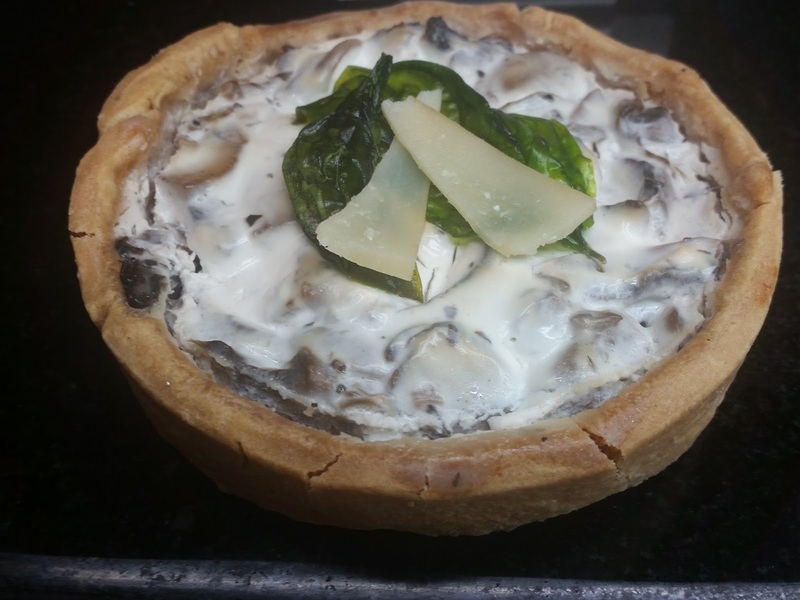 My favourite here was the Mushroom and Cheese Quiche, where I really loved the creamy topping with melted cheese and mushrooms. 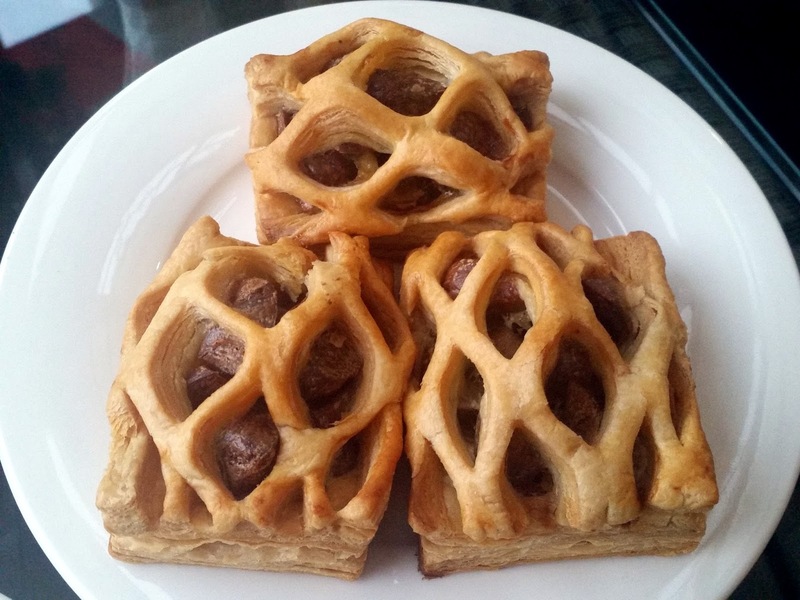 The taste of the sausage in the Chicken Sausage Strudel did not wow me – maybe they can have a choice of a spicier version of sausage. 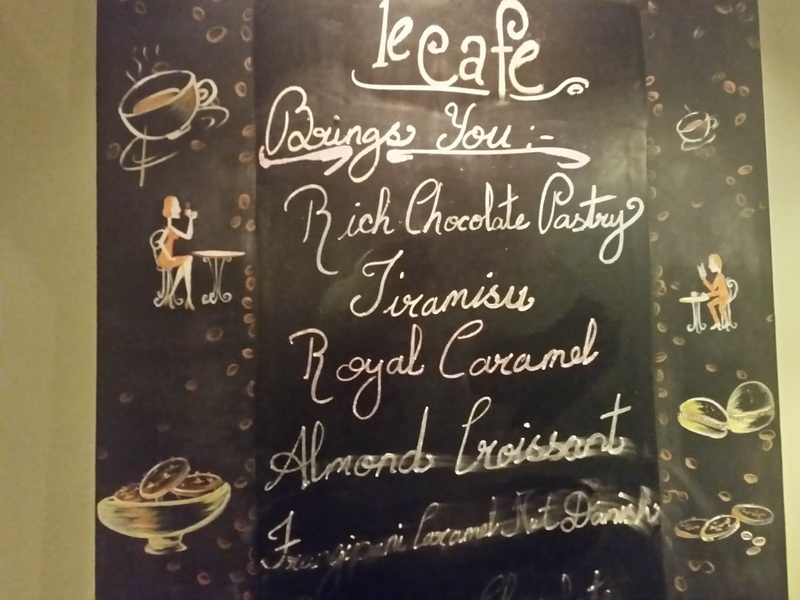 A black board at the corner of the café has the day’s specials. Apart from that, the beverages and sandwich menu is right on the table. The items in the new menu is definitely worth a try. And the café is a nice informal place to relax, or work or maybe have a casual meeting. It is open from 6:30 in the morning till midnight. Yummy. 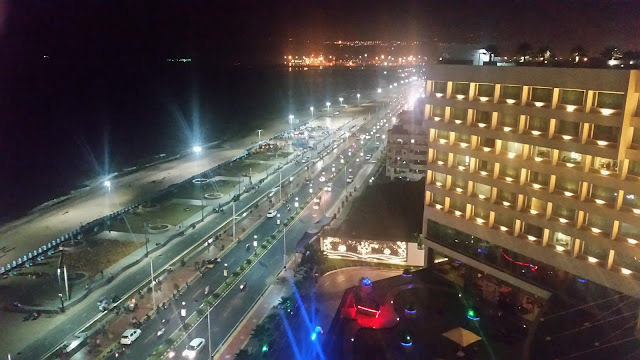 Will try out when i go to Hyderabad. Your posts are really awesome. I just wish I had come across your blog earlier! Spent more than 5 years in Hyderabad and never got around to even 20% of all that you covered. Mostly tried the joints in and around Banjara Hills & Jubilee Hills - Ruci Idoni, Ofen, Fusion9, Little Italy and the likes.